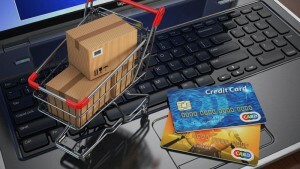 E-commerce has set the stage for a major transformation in the way we lead our lives. E-commerce enables the buyers to conveniently shop for the products they need from the comforts of their homes. When we feel the need for a product and have the affordability to pay for it, what is it that we do to procure the product? We go to a nearby market, enter a plush looking and brightly illuminated brick-and-mortar store, physically examine the products that are on display, chose a product that caters to our requirements, negotiate for a lower price, pay for the product either in hard cash or cheque or by using plastic money, and get back home triumphantly with the pride of owning a brand new product. But this process has already started becoming outdated. The new e-commerce firms like Flipkart, Amazon, eBay and Snapdeal brought about revolutionary changes in the way various products are sold. Online stores like Flipkart and Amazon gained great reputation by selling good quality products at lower prices. They created the best logistics facilities for themselves so that they can ship the products as soon as possible and deliver the products to the buyers on time, that too in their pristine form. It has been a meteoric rise for the home-grown e-commerce giant Flipkart, which has gained a great reputation with its quality products and timely delivery. An ordinary brick-and-mortar store, how much ever big it is, offers only a limited choice for the customers and the stores bear the burden of maintaining a huge inventory and incur a large amount of maintenance expenditure, which ultimately gets transferred to the customers. So conventional shopping centers not only offer a limited variety of products, but also sell them at higher prices. However, unlike a physical store, an online store, by dint of possessing a ‘long tail’, need not maintain a huge inventory and it offers an unimaginably wide variety of products at lower prices that too to the customers who reside even in the remotest and far-flung areas. With the internet penetration growing at a lightening pace and more and more people turning into online shopping enthusiasts, India is gearing up to take a big leap forward in the field of e-commerce. As more than 90 percent of the businesses are still offline, India is almost a virgin market for digital shopping. With the first movers are already in their heyday, more and more players are feeling tempted to enter the fray by going online. The state of the art fulfillment centres operated by Amazon play a key role in the company’s logistics and supply chain management. Now the big question is who is going to derive benefit out of these revolutionary changes that are taking place in the way the people shop for various products and services? It is undoubtedly the customers. They not only get access to a wide variety of products and serves but also buy them at lower prices and get them delivered at their doorsteps. The shopkeepers who run brick-and-mortar stores can no longer indulge in excessive profiteering and will be forced to keep their prices competitive. Many e-commerce firms have attractive return policies. If the customer is not satisfied with either the quality or quantity of the product they can easily get in touch with the customer care department of the online store concerned and get their problems resolved. So in a way the customer is empowered and his rights are protected. So, all in all, the e-commerce is a very welcome development which is not only enriching the market but also empowering the consumers. This entry was posted in Economy and tagged amazon, brick-and-mortar, digital shopping, e-commerce, flipkart, lower prices, online, variety on November 11, 2015 by Dr. Ramachandra Reddy.